...how short and sweet and real this all is. [Oh, Cleveland]. I was meeting with some students the other day. We talked about moments of relief. Of connection. Of groundedness. Each shared. I shared about a tumultuous move, a feeling of starting over. Taking things out of boxes. Hanging art. Clearing away brush. Tending to sun-scorched grass. Fixing leaks. Settling in. A weekend moment. 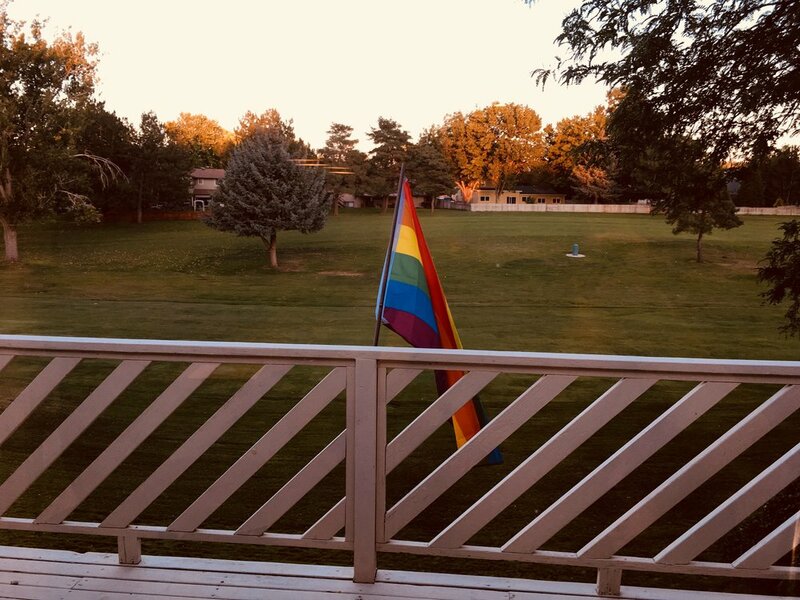 In a scape void of symbols that offer a reminder of a thirsty world - one in which notions of "normal" are generated and maintained by a collective consciousness of heteronormativity, a homemade flag went up. Full of bright colors. My youngest daughter said, "Oh, look at the pretty flag." Dating back to a year before the beginning of my physical existence, a gay artist and civil right's activist, Gilbert Baker, created the first rainbow flag in response to an anti-gay community that began using the pink triangle the Nazis used to identify and "out" gay individuals. Over time, the flag has become more than just a reaction to homophobic behavior. And certainly carries unique meaning along the continuum of lesbian, gay, bisexual, transgender, intersex, questioning, queer, + and ally identities. It is a container of deep feeling for me, even though I openly identify as a cisgender, heterosexual man, amongst other cultural identities that reinforce my privileged position that affords me access to power and safety - things that I can easily take for granted and live out of awareness of with no seeming cost. But the cost is underground and it's everywhere - like the fire-hazed skies that we must breathe to sustain life. All I have to do is look and to feel. And to open my eyes and heart. I explained to my daughter some of this meaning - in a way that may have been translatable to the heart of a six year old. But the colors: red=life; orange=healing; yellow=sunlight, being yourself without having to hide in the shadows; green=nature; blue=serenity; & lilac=spirit. I, think, too, it's an offering of voice - an attempt to give voice to realities that are so often othered and silenced. It's both small and big. 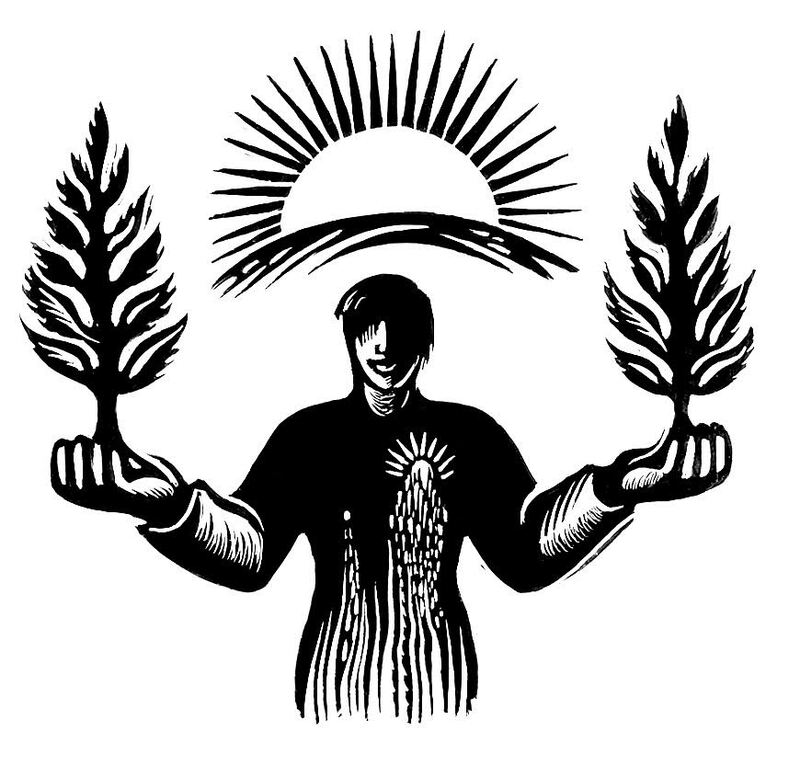 Amidst all of this tumult, this symbol offered a sense of ground for me to exhale into. I'm here. And all of that life back there in the east is somehow here with me too, wrapped up in me as colors, waving boldly against this western sky. [Oh, Boise]. Let us tend to the harsh light and the soft darkness. The magical world of things.